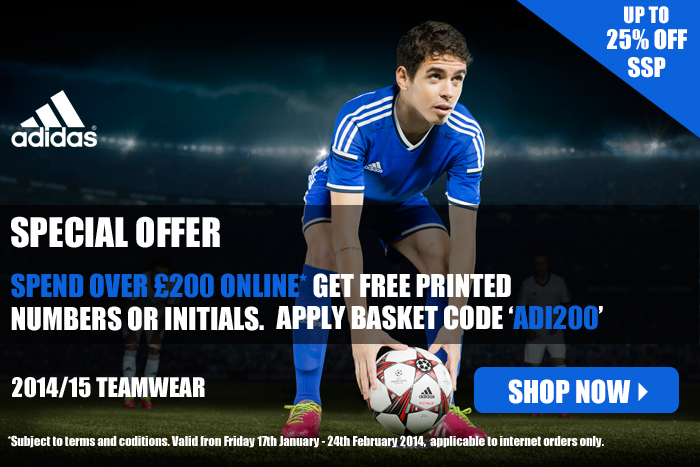 Our January/February promotion is offering free printed numbers or initials when you spend over £200 on any adidas teamwear products between now and the 24th February 2014. In addition our customers can get up to 25% OFF SSP (suggested selling price). If your team is in the process of renewing its kit deal we offer some great deals!